This issue was brought to my attention and when I answered the question, it reminded me that there was something wrong. Therefore, I wanted to put something into writing that is topical and very important. First, let us look at a few hadith. The two scholars [Muslim and Bukhari] and the compiler of the hadith report that Salamah bin Al-Akuwa' (may Allah be pleased with him) said, "We were sat with the Prophet (may Allah bestow peace and blessings upon him) when the funeral came and they asked, "Pray for them." He asked, "Does he have any debts?" They said, "No." He asked, "Has he left anything?" They said, "No." Then he would prayer over it [the deceased]. Then another funeral would come and they would ask, "O Messenger of Allah pray for them." He asked, "Does he have a debt?" Someone said, "Yes." He asked, "Has he left anything?" They said, "Three silver coins." [Most likely, this money was used to pay the debt] Then he prayed over him. Then a third funeral came and they asked, "Pray for it." He asked, "Has he left anything?" They said, "No." He asked, "Does he have any debts?" They said, "Three silver coins." He replied, "Pray over your companion." Abu Qatadah said, "I will pay his debt." Then he prayed over him." When he was called to a funeral prayer, he would ask [about the deceased], if the person was praised, he would arise and perform the prayer. Abu Qatadah (may Allah be pleased with him) reports, "the Messenger of Allah (may Allah bestow peace and blessings upon him) would say to the family, "They are your concern." When the words about them was other [badness] and did not pray over them." Ibn Hibban and Al-Hakim. 4. Someone else paid the debts. There are more hadiths than the above but we will suffice with these. Imam Al-Haskafi in Al-Durr Al-Mukhtar on Imam Al-Mosuli's Ikhtiyar in the book of prayer p.119, "It is an [collective] obligation that every deceased Muslim [to be prayed over] except.."
Then he mentions four categories of people who are the exceptions from the above. 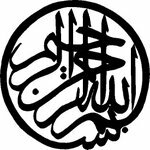 Imam Al-Tahtawi said Hashiyah Al-Tahtawiyyah on Maraqi Al-Falah on Nur Al-Idah p.601/2, "The rebel is not prayed over (by agreement, even if Muslim) and not (highway robber) when one of them is killed in a battle. They are not wasted because Ali (may Allah ennoble his face) did not [instruct] the rebels to be washed. They are washed before a leader is affirmed and they are prayed over. The murderer by strangulation/assassination, he deceives, takes him to a place and kills him, the general meaning is like the strangler who takes his victim and causes corruption in the land. Not [to pray over] the haughty of a city who take arms in the night and are killed in this state. The slain of the nationalist/tribalism to humiliate him and warn others. They are washed according to one of the opinions and prayed over, if washed. A person who killed themselves on purpose for severe pain is washed and prayed over, according to Abu Hanifah and Muhammad and this is most authentic opinion because he is a sinful believer. Abu Yusuf said, "They are not prayed over." The judge, the Imam, Ali Al-Saghdi said, "The correct opinion to me they are not prayed over, even if it was an error, if it was for a pain then they prayed over by agreement. Killing oneself is a greater crime and sin than killing someone else. He who kills one of his parents is not prayed over because of oppression and to lower him." Here, Imam Abu Hanifah and Imam Muhammad's position is reliable, that a person who kills themselves because of an illness is prayed over but not someone who kills others whilst killing himself. Nur Al-Idah is one of the most popular books of Fiqh in the Indo pak world. So it makes it even more bizarre that no one has noticed. Similar is mentioned in Al-Fatawa Al-Tatarhaniyah by Sheikh Alim ibn Al-Alaa' Al-Indaryti in the section of those who are prayed for and those not prayed for p.607/8. Similar is also confirmed by Imam Al-Haskafi in Al-Durr Al-Mukhtar on Imam Al-Mosuli's Ikhtiyar in the book of prayer p.119/2. In Imam Al-Mosuli's own commentary on Ikhtiyar, he said, "The killed for the Had or Qasas is washed and prayed over because they were not killed performing oppression and are not in the meaning of martyrs of Uhud. He said, "The rebel and highway robber are not prayed over because they spread corruption on the earth. The Exalted said, "This is their disgrace in the world." (Quran 5:33). [Funeral] Prayer is intercession that they are not worthy of. Ali (may Allah be pleased with him) did not pray over rebels and he is the exemplar, to be followed, in this chapter. This was seen by the companions and they did not reject and it became consensus." P.105. Someone who has been killed because of the penal system has been recompensed their sin because of a court order. Therefore, they can be washed and buried but those who have committed sins which cause corruption in the land deserve more severe punishment from the government. People are resurrected upon their intentions but if your attention was to get away from the police then one thing is clear. You have died committing a criminal act and because of reckless driving. A martyr is someone who was killed in battle by someone else, drown, house collapses on them, plague, defending their property, woman dying giving birth, abdominal disease, etc. Therefore, it is clear that gangsters who die committing evil acts are not martyrs. Sheikh Gibril Haddad gives more details of the classifications of martyrs. He is the person who guides people to Allah by adherence to the sacred law. If he himself has no regard for it then how can he affect people? Alternatively, is that he fears for his job? The masjid committees have a lot to answer for. Praying over those who are known to be criminals should not be done by the Imam. The Imam should find out about the person they are praying over and if they are a criminal then he should refuse. The hadiths also give us a way for someone other than the Imam to pray over them but if we follow the fiqh strictly then no one should pray over them. It shocked me that Imams do not seem to lose any sleep praying over gangsters and their ilk. If someone is driving at illegal speeds then crashes their car killing all those onboard, they have committed a criminal act. Criminals such as drug traffickers/gangsters and their ilk should be chastised in the community and not lauded. They should be expelled from a community and people should refuse to do business with them. Their families should not be left alone though, we cannot have the law of jungle practiced. Unfortunately, they find validation from their parents who brought up monsters whose harm reaches everyone they come into contact. Parents who defend the wrong actions of their children cause increase in their disobedience. These children become monsters because they have never heard the word 'no.' He is a bad person if he is harming the community by his presence. So many parents have failed to inculcate the correct manners into their children. We are then left with communities whose roads are treated like racetracks and unrighteous activity is over looked. When it should not be tolerated. All Imams need to heed this call and not pray over anyone who died in a wretched state of criminal activity. This will send shock waves and it might make some people wake up. However, it is clear that part of the sacred law is not being followed here and if you are an Imam then you should not make excuses. Because your sin is greater because it encourages others to commit such sins. Excuses are not going to wash on the day of judgement for anyone.